Moves to save water and boost supply by Cape Town businesses would help in the future, Cape Chamber of Commerce president Janine Myburgh said this week. “The important thing is that all the planning and investment will put Cape Town and its businesses in a much stronger position to deal with the effects of climate change. It has been a strong wake-up call for civic and government authorities and that is a good thing,” she said. Western Cape agriculture has suffered losses estimated at R14 billion, according to Agri Western Cape. There may be more to come as many farmers have cut back on planting, she said. Many businesses have made big investments to secure water supply. Fishing group Oceana is spending R20 million on two desalination plants at St Helena Bay and Laaiplek to meet their water needs and save 2 000 jobs. Tsogo Sun is building a desalination unit. “We have little doubt that others will follow. Many firms have spent a great deal of money on grey water systems, rain water harvesting, boreholes and equipment to reduce water use,” Myburgh said. The businesses hardest hit by the drought are gardening services, hotels and guesthouses. 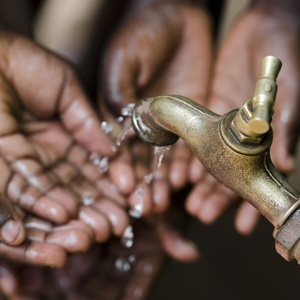 Federated Hospitality Association of SA Cape chairperson Jeff Rosenberg said his organisation’s members – hotels, guesthouses and restaurants – have reported a decline in bookings due to negative reports about the water crisis. “Tourism is a key economic driver in this province and contributes to job creation, with around 300 000 people being employed. The hospitality industry alone contributes close to R40 billion a year to the Western Cape economy, which we simply cannot afford to lose,” Rosenberg said. According to a survey the chamber conducted at the end of last month, almost 80% of the 610 members that responded see the drought as a threat to their business. About 28% of 575 members that responded halted or postponed investments due to the water crisis. The V&A Waterfront is a major tourist attraction for the city. Its CEO David Green said: “The biggest impact we have seen is the change in behaviour with regard to water consumption. We have implemented stringent measures to save water ourselves (we have cut water use on the property by 53% since 2010, despite the property growing by 20% over this time). Green said the V&A Waterfront is making use of borehole water, reusing grey water and is going to commission its own desalination plant, which is set to produce potable water by next year. It will produce 3 million litres per day and will cost R170 million. The V&A Waterfront has allocated part of its land to the City of Cape Town to install a temporary desalination plant, which is under construction and should be operating by the end of March. Julie-May Ellingson, Cape Town International Convention Centre (CTICC) CEO, said that only one contracted conference, scheduled for March, had been postponed. “The drought has not restricted our marketing and sales efforts. The CTICC has thus far secured 58 international conferences up until 2023,” Ellingson added.